At least once each cruise (weather permitting) decks 9 and 10 become an outdoor restaurant, and guests dance into the night on Azamara Club Cruises. Wearing white is encouraged. As Azamara has evolved during eight years of leadership by Pimentel, the passenger list, while mostly American, now has a diverse flavor, with a strong European content. Europeans no doubt influence some of the sophisticated style of Azamara’s ships just as they have cars — in decades past most European auto manufacturers did not even equip their cars with coffee cup holders (“Get out of your car if you want to drink,” said Mercedes-Benz of Germany). 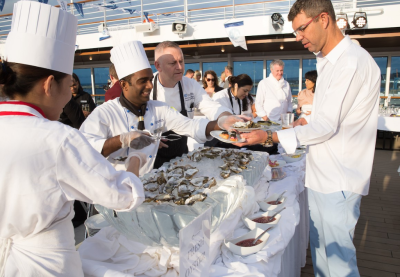 Oysters were a big hit at the white party on Azamara Pursuit in August. The line’s three ships, patterned after boutique hotels, are quiet, comfortable, and classy in their cabins, their four dining rooms, and their impressive, art-filled stairwells, one fore, one aft. At sea, passengers tend to mingle and chat about history, travel, music, literature, and events of the day — with an educated depth that often leads to relationships that linger after the cruise. At ports, Azamara is known for its goal of providing passengers opportunity to gain a depth of understanding about destinations by staying late into the evenings or overnight. 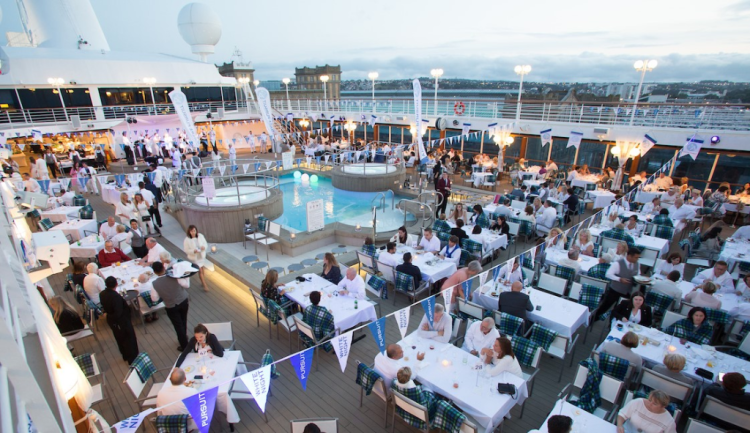 In its Destination Immersion program, Azamara has developed customized experiences in ports all over the world, including one special, complimentary (AzAmazing Evening) ashore on each regular cruise. 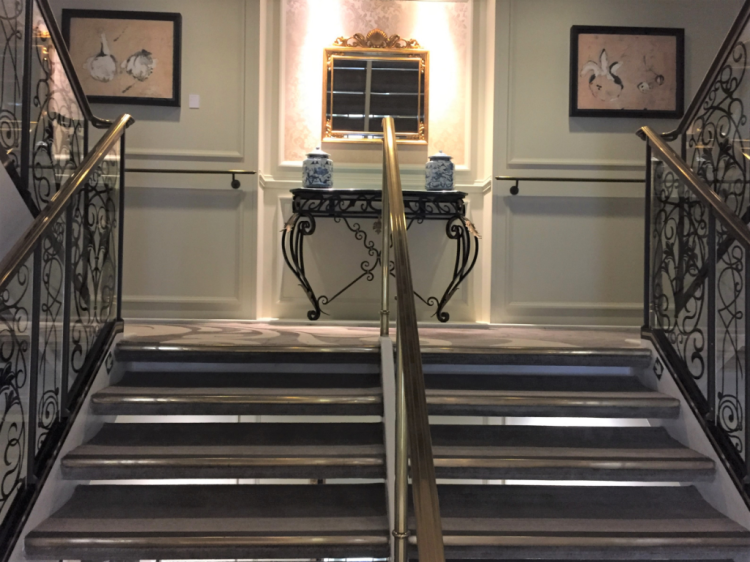 Azamara is profitable, said Pimentel, which is why its owner, Royal Caribbean Cruises Ltd., bought this third ship and funded a long, just-completed drydock for the recently renamed Azamara Pursuit. Added were a lounge, cabins and suites with the sort of contemporary design elements seen on new ships, and serious renovations throughout to give the 17-year-old vessel the same contemporary look as Journey and Quest. Like the Journey and Quest, Pursuit has the great advantage of good lineage. All three once were among the eight R ships, a highly successful design of the late 1990s by the old Renaissance Cruises. Journey was R6, Quest R7, and Pursuit R8. In the meantime, Pursuit has sailed as Minerva II, Royal Princess, and Adonia. The eight identical R ships remain a popular size for cruisers who prefer smaller ships. (Oceania Cruises owns R1, R2, R4 and R5, Princess Cruises R3, all now sailing after rehabs and renamings). Azamara Pursuit is cruising in the Mediterranean until November. It arrives in Miami Nov. 20, leaving that afternoon for Peru and other voyages in South America, sailing back to Europe in April 2019, returning to South America that fall. 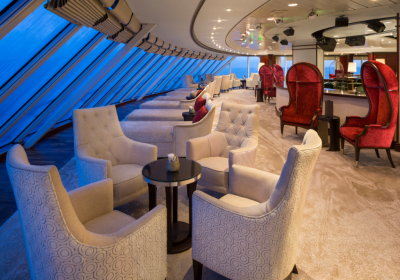 In the cruise industry, the upper premium niche, just below luxury, is highly competitive. This is the cruise category where, in addition to Azamara, you will find Windstar, Viking Ocean, and Oceania. When compared to ships of other premium lines, upper premium ships tend to be smaller (Oceania has the two largest ships at 1,250 passengers, Windstar’s six ships are all 300 passengers or fewer); personal service stronger and more intimate; and rates higher. The rates on these ships often are difficult to compare, because each of the upper premium lines has its own list of what is included in the fare, such as alcohol and shore excursions. 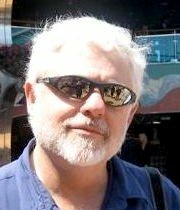 You may need a travel agent who specializes in cruises to sort out the differences. “Being small and precious is not enough,” said Pimentel. “To break away from other lines with small ships, we think outside the ship.” Pimentel said that his guests focus on the authentic, with an explorer’s state of mind. Azamara is now partnering with land tours in Africa and train travel to add other bucket list inland itineraries before or after a cruise. One subtraction is in the works: Azamara has decided to close its shipboard casinos. There is no casino on Azamara Pursuit, and in future drydocks the Quest and Journey also will lose what’s left of their casinos, which at the moment have machines but no tables. The ships will gain a lounge called the Den, which debuted on Pursuit. “The casino is not the essence of this brand,” says Pimentel.